X Games champion, reality star and budding philanthropist Ryan Sheckler will take to the links with 120 others to raise money for five charities. The 18-year-old skateboarding phenomenon will host his first celebrity golf tournament – the Ryan Sheckler X Games Celebrity Skins Classic – on July 29 at the renowned Trump National Golf Course in Palos Verdes, CA. 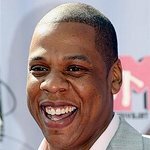 Many celebrities and professional athletes will participate, including Jerry O'Connell, Anthony Anderson, Audrina Patridge, Kendra Wilkinson, Dean Cain, Kevin Federline, Brody Jenner, Verne Troyer, Mia Hamm, Vicki Hurst, Bode Miller, Baron Davis, Carey Hart, Travis Pastrana, and Dave Mirra. 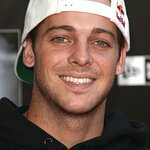 The tournament aims to further the mission of the Sheckler Foundation and raise funds for four additional charities: the Athlete Recovery Fund, which provides financial support to seriously injured BMX, FMX, and skateboard athletes; Boarding for Breast Cancer, a youth-focused awareness organization; Road 2 Recovery, which provides financial assistance and emotional support for motocross athletes coping with career-ending injuries; and Wings for Life, a spinal cord research foundation. The event will include a $10,000 hole-in-one putting contest and an 18-hole skins tournament, where the winner of each hole will receive $10,000 for the charity of his or her choice. Additional funds will be raised with a silent auction at the event’s dinner reception. Ryan Sheckler became a professional skateboarder at 13, and has won numerous gold medals at competitions including the Gravity Games and X Games. Ryan also has his own clothing line and stars in “Life of Ryan,” a reality show aired on MTV. The Sheckler Foundation was created in 2008 as an avenue for Ryan and his family to give back to the community that has supported Ryan’s athletic career. The Foundation supports medical research to cure childhood disease; enrichment programs for children in low income areas; and action sports athletes who are injured on the job. In April 2008, Sheckler donated his own Range Rover to the top fundraiser for the Children’s Cancer Research Fund 5K Run/Walk. For more information on the Sheckler Foundation or to register for the tournament, please visit their website.